Stockalike Service Module and accessories inspired by NASA’s Orion MPCV, and designed specifically for use with the stock Mk1-3 Command Pod. Remove the SDHI folder and all its contents from the GameData folder. If you have other SDHI part packs you wish to keep, just remove the Service Module System subfolder. Please read the FAQ at the bottom of this post first, as it addresses common issues and their solutions/explanations. If your issue isn't covered by the FAQ, post your bug reports and support requests in this thread, providing as much information as possible (error logs, screenshots etc.). Optionally, you may also submit a ticket on GitHub. 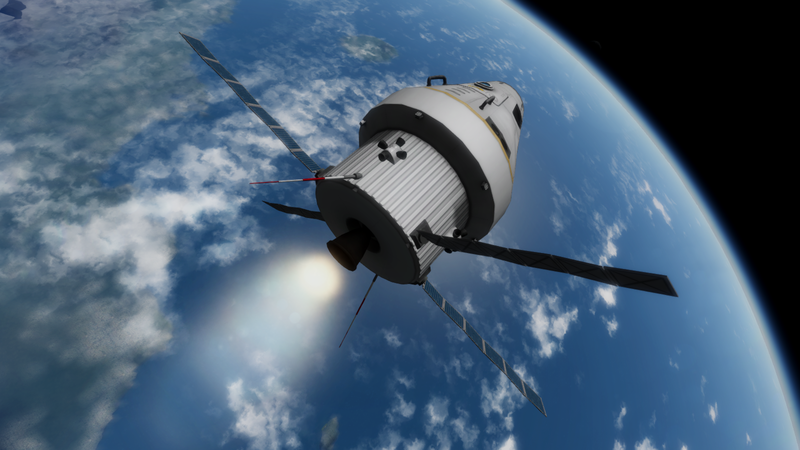 - This is due to a limitation with the current stock KSP ModuleAnimateGeneric behaviour, but is not game-breaking. - Fixed TAC Life Support patch so that it only applies if TAC LS is actually installed. - Tweaked main parachute deployment altitude slightly; the mains will now deploy almost immediately after drogues are cut, instead of after a (decidedly terrifying) period of free-fall. 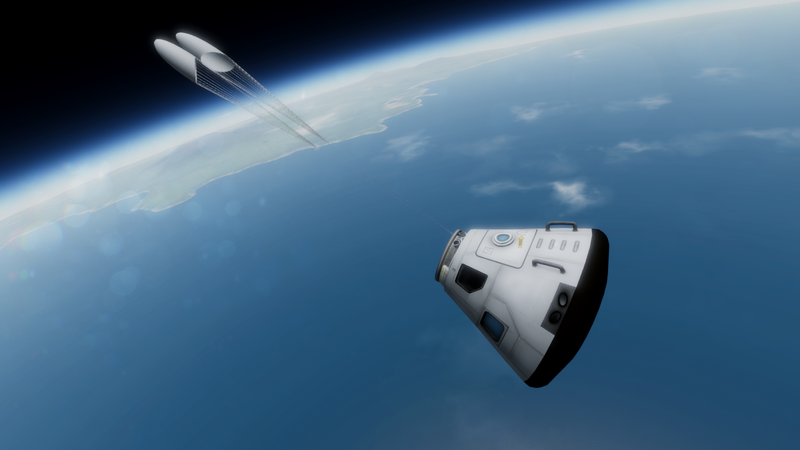 - This is because of the way KSP handles animations; the game can only save the state of one animation at a time, and the docking ports need several animations to handle the various parachute deployment stages and the lights. Q: How do I use these parts? A: This parts pack contains accessories to transform your stock Mk1-3 Command Pod into a self-sufficient short/medium range crew ferry. For detailed assembly and configuration instructions, refer to the tutorial on the GitHub Repo wiki. Q: How far can I go with this Service Module? 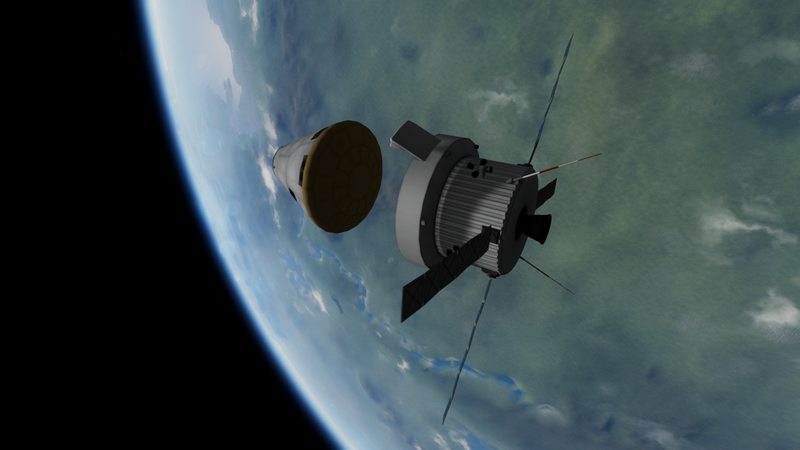 A: Flight testing has shown that, when used in conjunction with a properly-designed Kerbin Departure Stage, a Command Pod equipped with the SDHI Service Module can easily enter Munar or Minimus orbit, circularize and return to Kerbin safely. 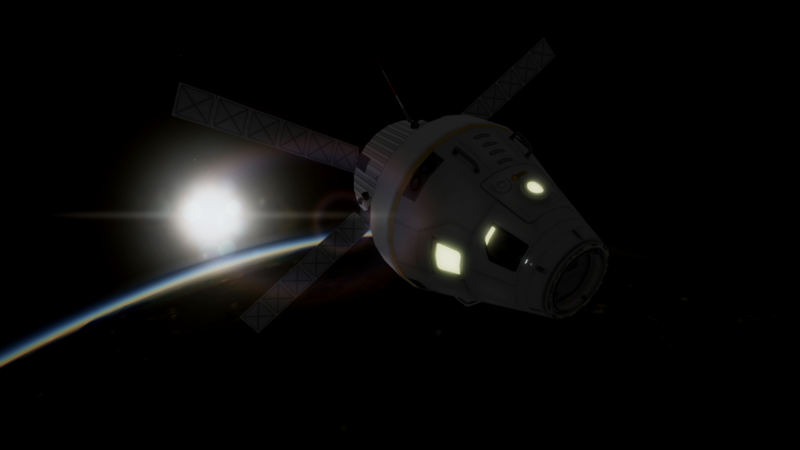 The Service Module is also rated for Low Kerbin Orbital operations, such as ferrying crew between space stations. Q: Why do the docking lights have such short ranges? A: The docking lights are primarily used for identifying target docking ports in low-light conditions, and are not designed for general illumination. Q: Your parachute-equipped docking ports rely on RealChutes, yet they don't use the latest tweakables system. What gives? 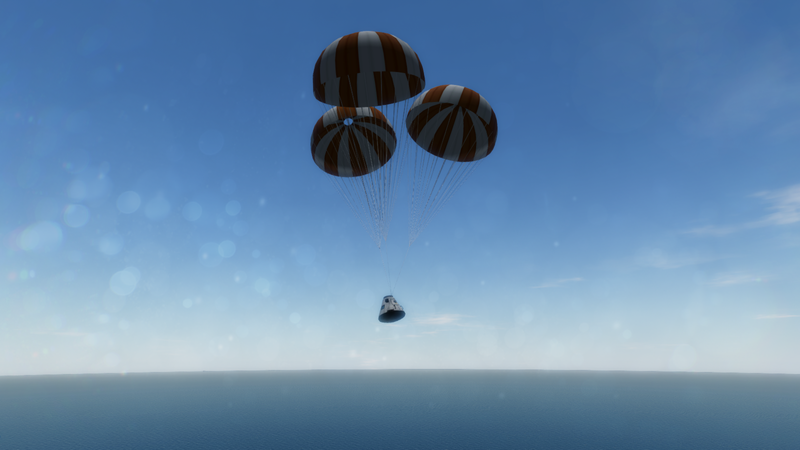 A: The parachutes installed in the docking ports is a drogue-mains system carefully tuned for a safe and comfortable landing on Kerbin, for pad abort, in-flight abort and re-entry scenarios. Allowing them to tweakable would inadvertently permit users to accidentally mis-configure the parachutes and result in fatal landings. Users are welcome to modify the parachute configs as they wish, but in doing so they will void their warranty and become ineligible for official help/support. Q: Could you make Service Modules / Boost Protective Covers / other accessories for other command pods? A: No - only the stock Mk1-3 pod is supported. Other command pods are outside the focus of this add-on. Q: Could you make the Service Module System compatible with art revamp mods like Ven's Stock Revamp, Nertea's Restock, etc.? A: No - SDHI SMS is intended to fit with the stock aesthetic, to provide a seamless experience for the majority of new and existing players to the game. I also personally disagree with the "better than stock" philosophy behind the aforementioned art revamp mods. Q: In the VAB/SPH, the Service Module / Avionics Ring decoupler animation plays constantly (puffs of smoke, etc), causing null reference errors / crashes. A: This is most likely caused by the TweakScale third-party plugin, due to an as-yet unexplained incompatibility. You'll have to uninstall TweakScale or not use the Service Module pack. Q: I'm having trouble with a version of this add-on from a third-party "mod pack" or from a non-official download location - could you help me? A: No support is provided for unofficially-distributed or "bootleg" versions of this add-on. Q: Why isn't this indexed on CKAN / KSP-AVC? A: Maintaining metadata for third-party mod version trackers and waiting weeks for approval is too much of a hassle. I feel sad because it's a fantastic piece of work but the parts are pretty much useless since it's just an orbiter and most people have already landed on every planet. Also Kerbals are highly disposable so nobody cares about their safety. Please, only speak for yourself I take good care of my Kerbals, and I'm also not playing since years, I have not been to all planets yet. New people are always coming into the game, and old ones often start fresh with new program versions; and from various threads I've seen, many players do care quite a bit about the safety of their kerbonauts - at least in "live" / "for serious" saves. Great work, sumghai. I've been following the development thread, and am glad to see this released. 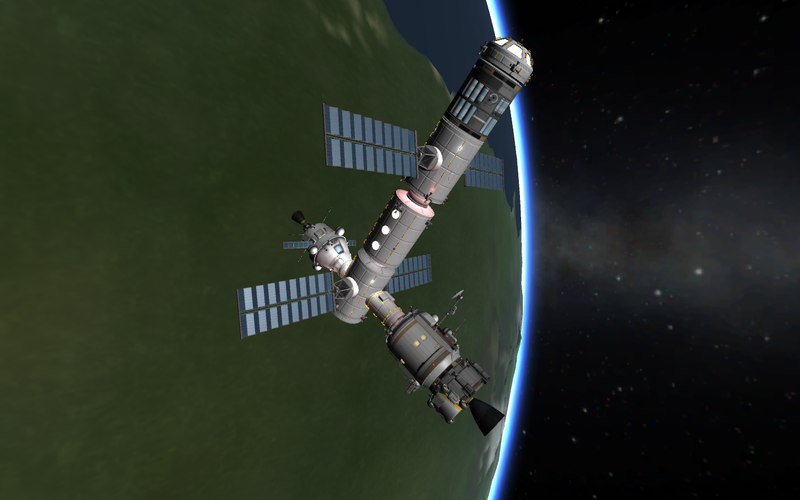 OK, I've been launching Kerbals into Low Kerbin orbit and back all day. It works very well. 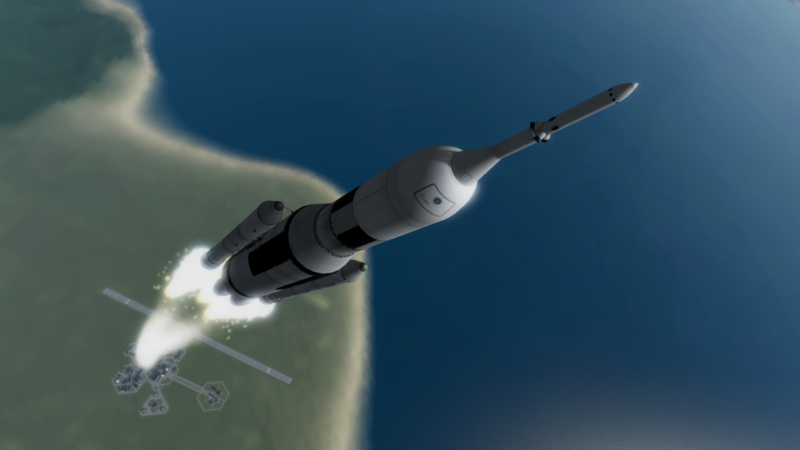 I just need a larger launcher so I can reach the Mun. Nice job Sumghai, I'll also be using these on my next Duna Mission. Nice! But why not include the user manual in the .zip? The parts pack is 3.78 MB in size, while the PDF manual alone is 11.78 MB - therefore, I decided it was better to leave the latter as an optional download. Great job, my friend! Glad to see this released! Outstanding work, sumghai!! This is now my go-to NASA style CSM. Great to see this fully realized! 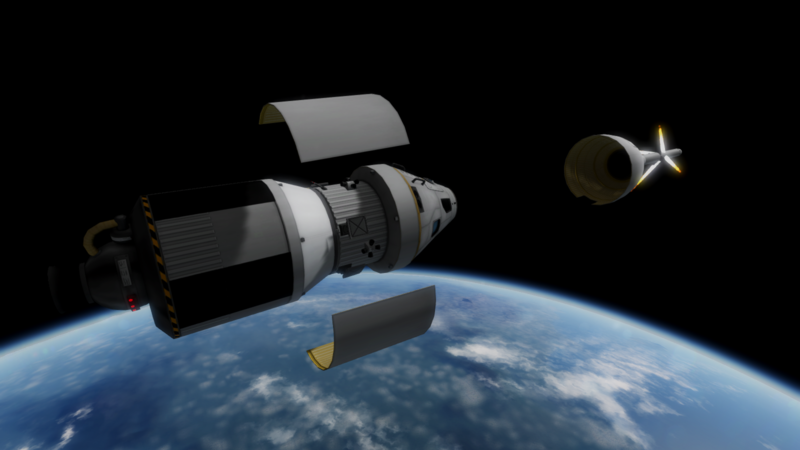 A note on FAR compatibility: to make the BPC count as a fairing, I think all you have to do is change its title to Boost Protective Cover Fairing. (Add "Fairing" to the part title). Since the side fairings already have fairing in their name, they should be good to go. NICE! I'll be using this with the new 3 man capsule that I have seen over in addon development. The combo will make one nice Orion craft. Time to go to a Constellation replica! Okay, downloaded. This is going to be my new service craft and tug for my planned FuzTek based Kerbville station. I know that this pack doesn't seem like much, but I've been using this as a crew transfer vehicle and with enough Delta-v to make it to my Minmus station it certainly can get around. 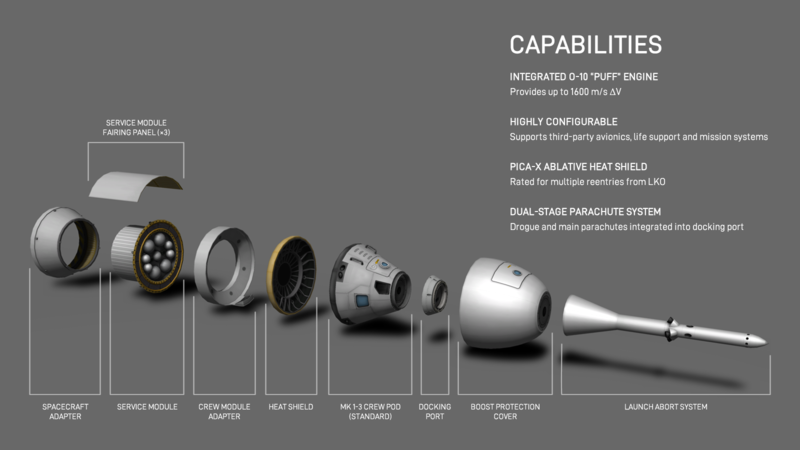 Q: Is the Heat Shield DeadlyReentry-compatible? A: The Heat Shield CFG does contain configurations for DeadlyReentry; however, these have NOT been verified. I had to do some .cfg modifying on this pack to make everything fit right but wow. That is one hell of a shot. Fuel levels seem a bit low to me looking at stuff but that's just personal. I also had to modify that pod .cfg to make it less OP and more realistic. This will be my new light tug on Kerbville station, being built with FuzTek parts at 350km. What a strange coincidence, I was just trying to build a replica of the SMS with PFairings and NW this last week! I couldn't get the boost covering to work quite right (Pfairings didn't like making something like that), so this will be fun to play with. KSS Mupollo 15 and Munar lander. 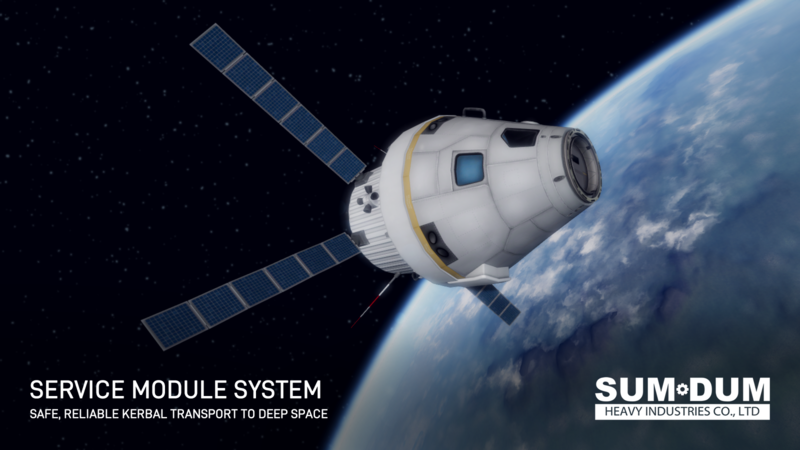 The SDHI-E&R (Escape and Recovery) pod addition has green-lit the space station for Munar studies. After adding on the LVN's a while a go, she's already enroute (albeit slowly) to the Mun. I just did a launch test with this CSM and I agree that it will become my new favorite CSM for standard use. 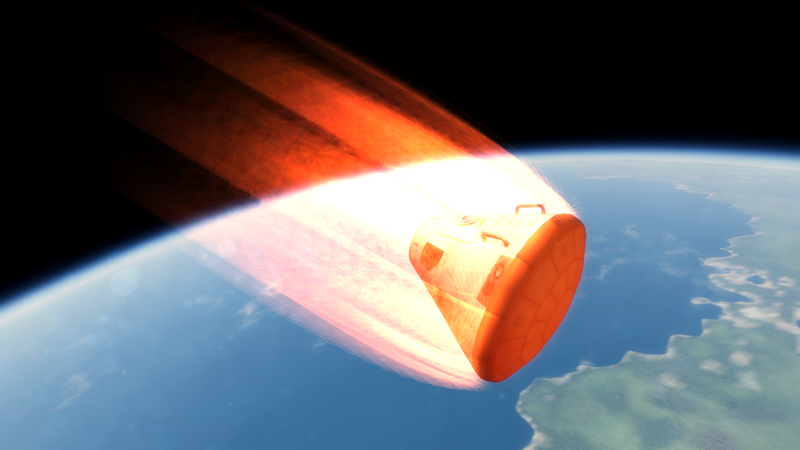 The abort sequence works flawlessly, the decoupling of fairings and adapters are likewise problem-free. The LV-909 seems incredibly fuel-efficient, though KER does not calculate its delta-V at all. sitting shiny on the lunchpad ... looking very good on my Proton M lunchvehicle thanks a lot ! intersting fact: my Proton M is balanced to lunch upo to 18 tons into 75x75 LKO and with this new stock-a-like Serrvice Module System, i have 400 m/s dV left in the third stage. i think i will replace my 3man PPTS with this new one. funfact: my PPTS looks nearly the same with this new one. Looks awesome! Will try it out very soon! Nice mod just what I've been looking for! I plan on having this SM for all my orbital mission, possibly Mun or Minmus orbital missions, and with a extra stage, a lander.